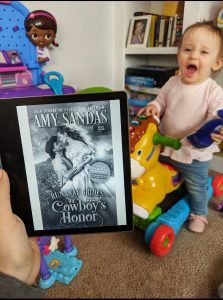 I don’t know why it took me so long to read a Amy Sandas book but I can’t wait to go back and frantically read everything she’s ever written. I thought The Cowboy’s Honor was fantastic. Courtney is brave and opinionated and willing to claim her own happiness. Dean is a cantankerous cowboy after my own heart. But the best part of The Cowboy’s Honor is the yummy way that Dean and Courtney battle and bicker back and forth before finally (FINALLY) admitting how they both feel. I don’t know what it says about me but gahhhh I really love it when a couple can’t stand one another at first. 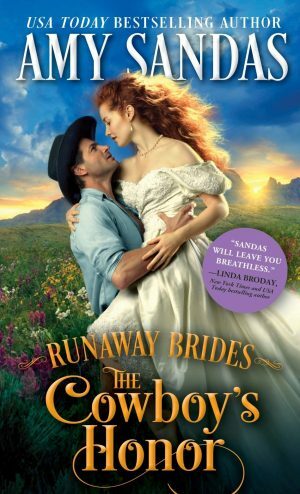 The Cowboy’s Honor is the second book in a series called the Runaway Brides (the first is called The Gunslinger’s Vow) and it releases on 2/19. But you can pre-order it now! 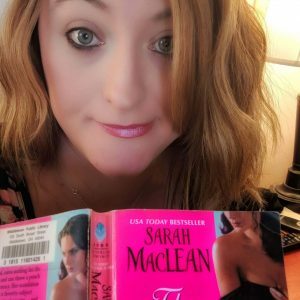 Thank you, Netgalley for allowing me to read an advanced copy.